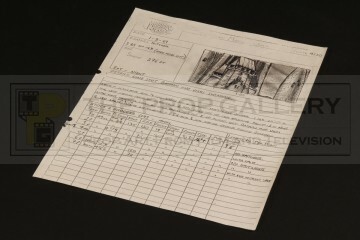 An original shot study created during the production of Tim Burton's 1989 superhero blockbuster Batman starring Michael Keaton as the caped crusader opposite Jack Nicholson in his unforgettable portrayal of The Joker. 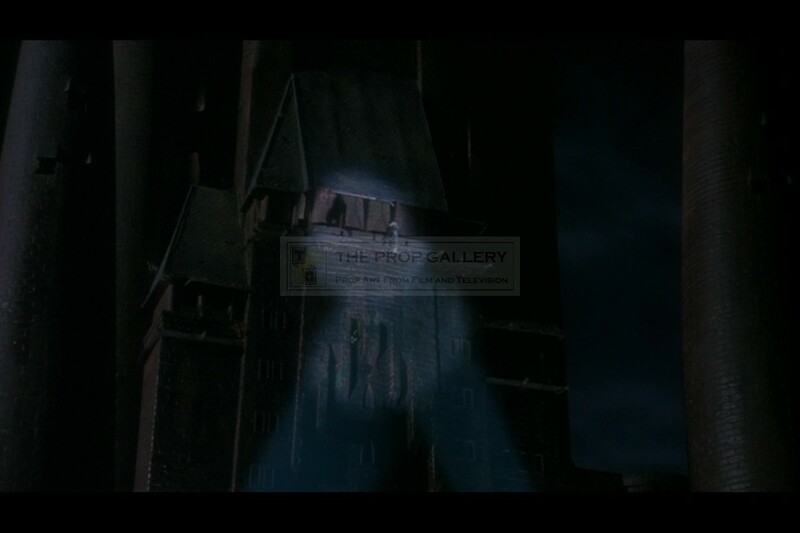 This was created during the visual effects work carried out by the Magic Camera Company of miniature effects maestro Derek Meddings. 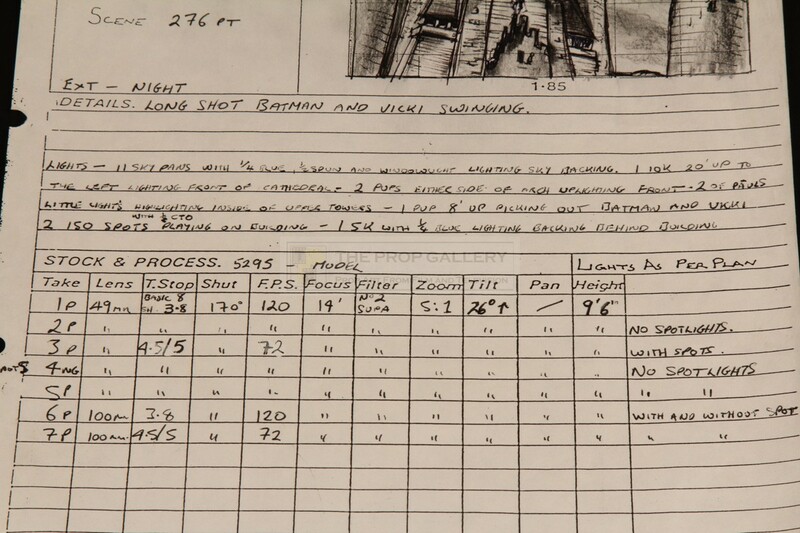 The study is hand drawn with hand inscribed notes on a generic printed page with the Meddings Magic Camera Co logo and headed 'BATMAN MODEL UNIT' and dated 1-3-89. 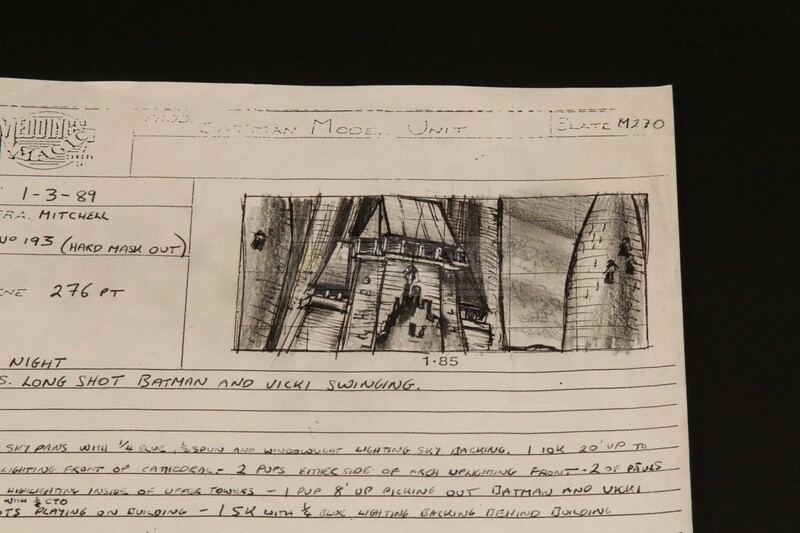 The hand drawn illustration depicts a miniature effects shot from the climactic scene where Batman (Michael Keaton) and Vicki Vale (Kim Basinger) dangle perilously from the cathedral and is hand inscribed in pencil and pen with the detailed notes relating to the search lights and various technical camera requirements. The study measures 10" x 8" and remains in excellent production used condition with minimal edge wear, very fine. 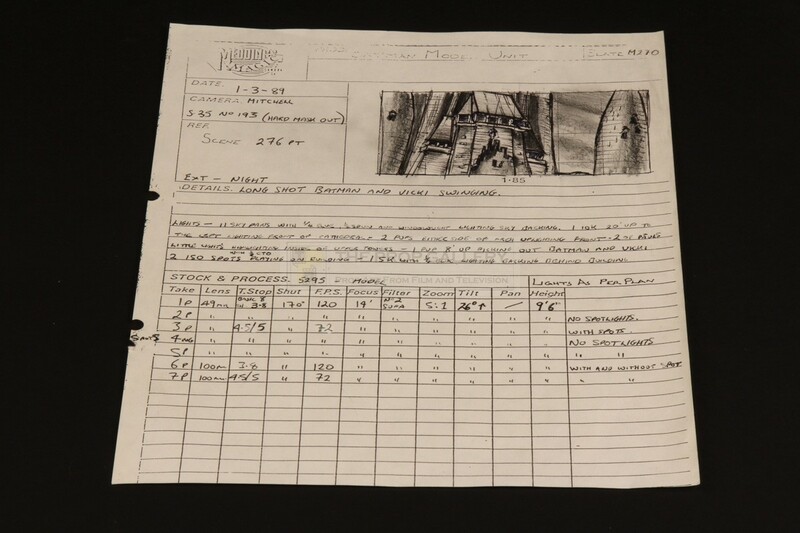 A rare and interesting example of original production material from this Academy Award winning superhero classic.